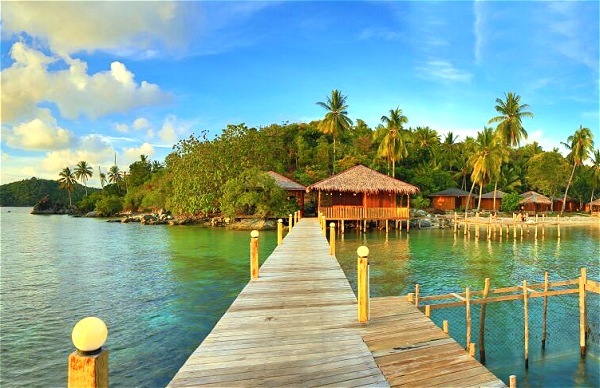 Piugus Resort is uniquely situated on a breathtaking little castaway island, about a 30 minutes' boat ride from Tarempa. If you're after blissful isolation on a perfect little paradise, then Piugus fits the bill. 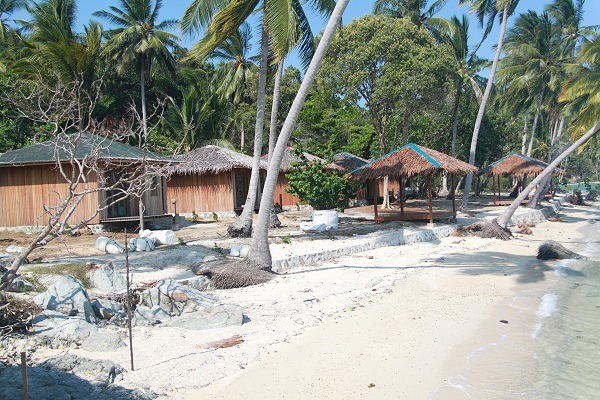 The cottages on Piugus are few and far between for that ultimate Paradise Island feel. This is truly as close as you're going to get to being Robinson Crusoe. 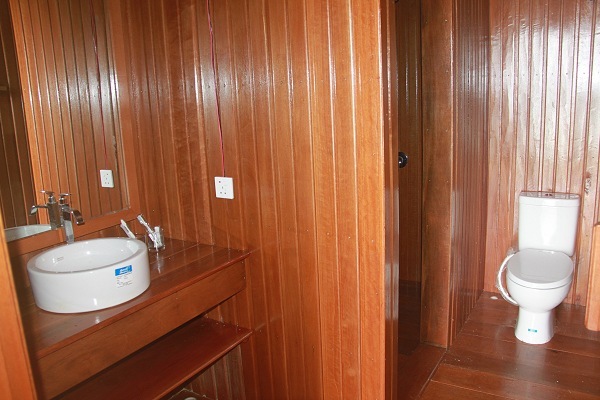 That said, in contrast to Robinson Crusoe, you'll not only be basking in a full aircon room but you'll have the luxury of a hot-water shower too. 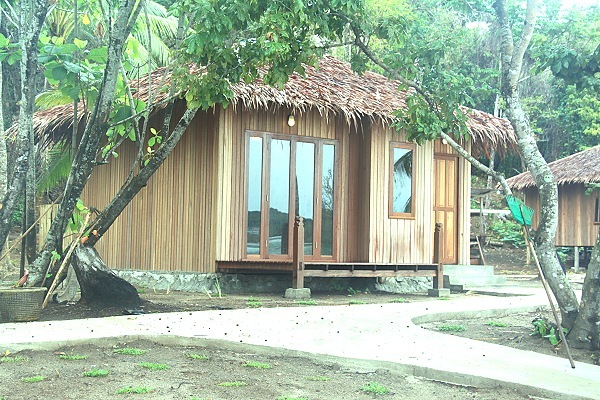 The daily rate for staying on this verdant little Anambas gem is 700,000 Rupiah, excluding meals. If you prefer to stay with full-board, i.e. 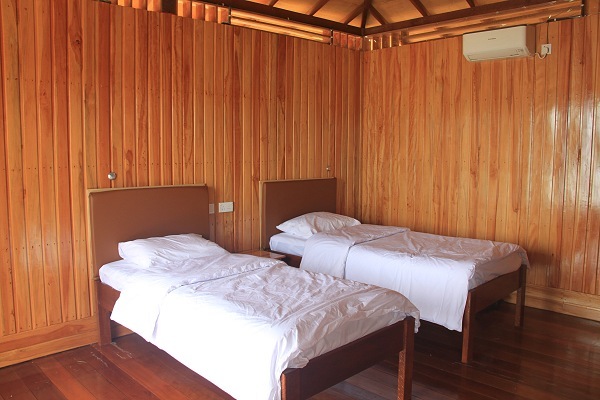 all meals included, breakfast, lunch and dinner, the daily rate is 8,200,000 Rupiah. 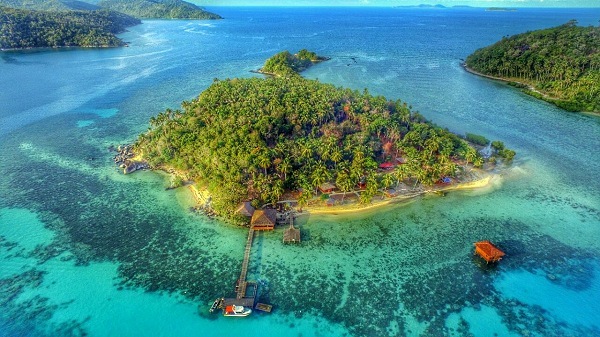 Please note that idyllic seclusion comes at a price, albeit a modest one, because you'll need to take a boat from Tarempa to your wee Shangri-La. 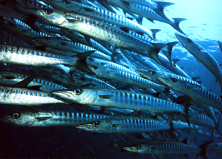 The boat trip takes about 30 minutes and costs 300,000 Rupiah for a maximum of 5 passengers. Keen to know more about Piugus, or want to book your cottage? Install the free Piugus app. Or use below form. We'll get back to you in a jiffy. If you prefer having your room booking confirmed instantly, then just call, Whatsapp or SMS to +62 81270 46 1163 for an on-the-spot room reservation.